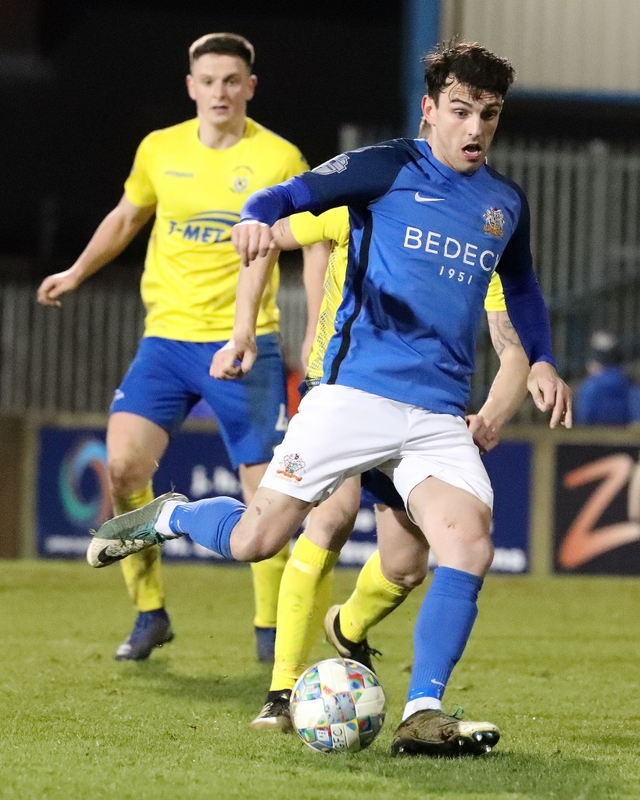 Glenavon crashed out of the Tennent’s Irish Cup with a 1 – 0 defeat to Dungannon Swifts in Monday night’s sixth round tie at Mourneview Park. Paul McElroy scored the only goal of the game when he converted a penalty in the 15th minute, picking himself up off the floor to score from the spot after he had been fouled by Seamus Sharkey following a swift Dungannon counter attack. In truth, Glenavon put in a lacklustre performance and never really looked like overturning that early deficit. The visitors gave the hosts an early warning when Mark Patton’s cross found Seanan Clucas at the back post in the second minute. Clucas squeezed a powerful shot in from a tight angle which Jonathan Tuffey had to palm behind for a corner. Two minutes later at the other end Robert Garrett picked out Josh Daniels with a cross. The winger’s header found the side-netting. The home side came close to opening the scoring a quarter of an hour in. Daniels and Andrew Mitchell combined well on the left before the latter whipped a cross to the far post which picked out Andrew Hall. Hall directed his header towards the bottom right corner, but he was denied by Swifts keeper Alex Moore, who dived down to his left and gathered the ball. Moore immediately set his side on a break and Jarlath O’Rourke fed Patton on the left flank. The former Glenavon winger powered through Caolan Marron’s challenge before sending a low cross into the box. When McElroy nicked in front of Sharkey and the centre-half upended him referee Tim Marshall had no hesitation about pointing to the spot. McElroy himself stepped up to take the spot-kick, sending Tuffey the wrong way as he coolly put the ball in the net. Hall drove forward well on the right three minutes later as Glenavon tried to hit back quickly, but the winger’s cross was cut out by Moore. Hall was involved again on 33 minutes when he had a pop at goal from a free-kick, but Moore made a comfortable save. The Swifts could have added to their lead twice in the space of three minutes towards the end of the first half. 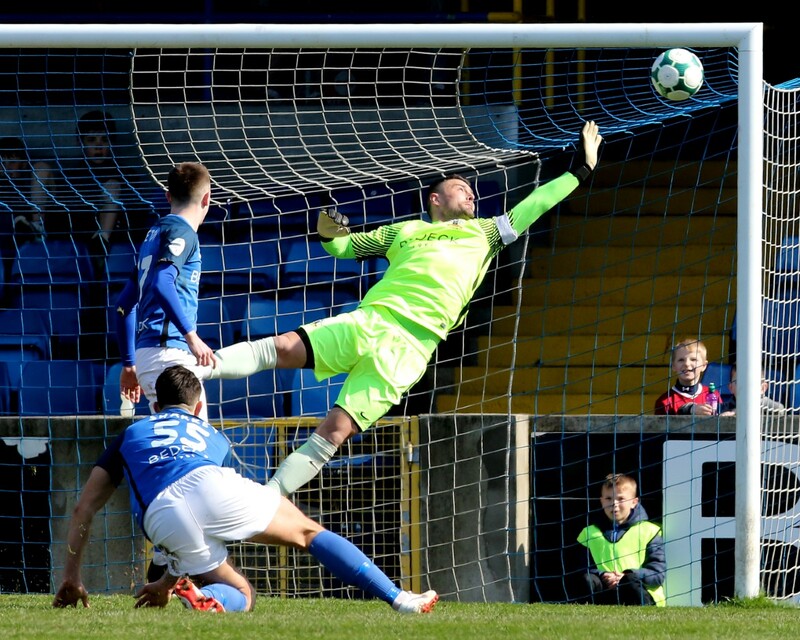 In the 37th minute McElroy shot narrowly wide of the far post after being set up by a fine pass from Oisin Smyth, while Patton was presented with an excellent opportunity to score when Rhys Marshall’s clearance came back off Garrett and fell kindly for the Swifts winger on the edge of the Glenavon penalty area. 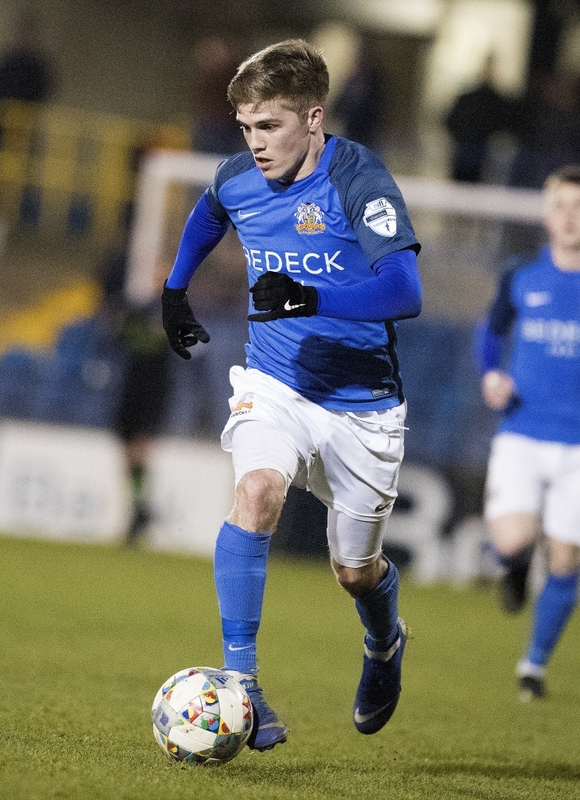 Patton, Glenavon’s cup hero in 2014, sent his right-footed shot wide of Tuffey’s left-hand upright when he really should have at least hit the target. 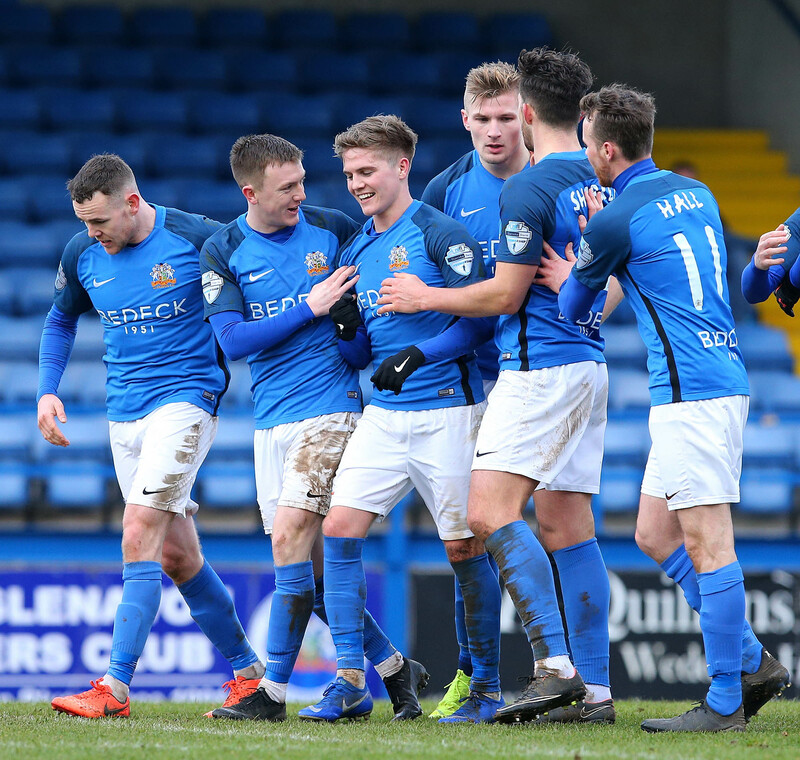 Glenavon came within inches of drawing level in the final minute of the first period when Hall sent over a brilliant cross on the half-volley from the right flank, with Mitchell just failing to get his boot to the ball on the stretch. Eight minutes into the second half Mitchell sent a free-kick over the bar from a central position 25 yards out from goal. 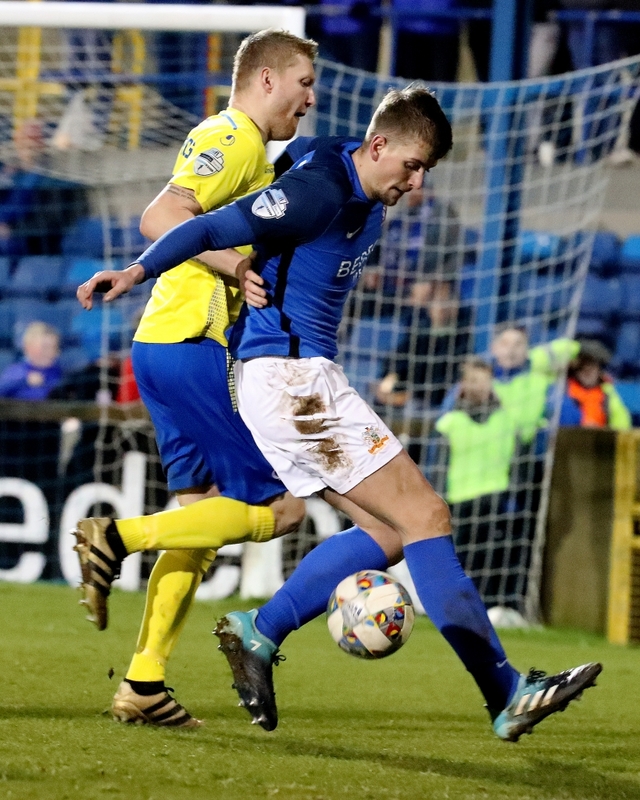 Perhaps Glenavon’s best opportunity for an equaliser came on the hour mark, when Mitchell swivelled and played a low cross across the face of goal which Cameron Stewart got on the end of. The substitute couldn’t keep his shot down, however. Five minutes later Stewart fed the ball wide to Hall and the winger found the head of Daniels at the back post. He couldn’t rise high enough, though, and his header went harmlessly over the bar. 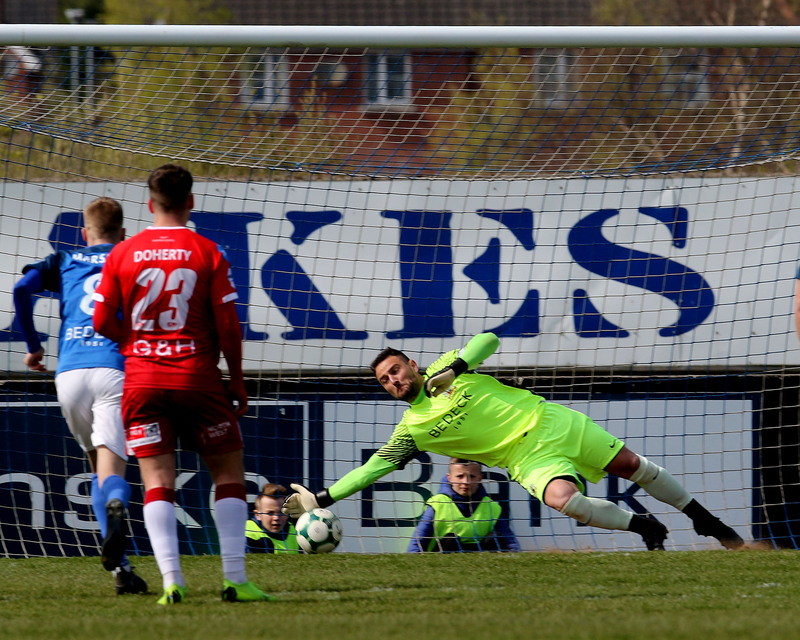 Dungannon continued to pose a threat of their own on the break, with Douglas Wilson flashing a shot over the bar on 70 minutes, while Alan Teggart sent a low left-footed strike just wide of the post six minutes later. 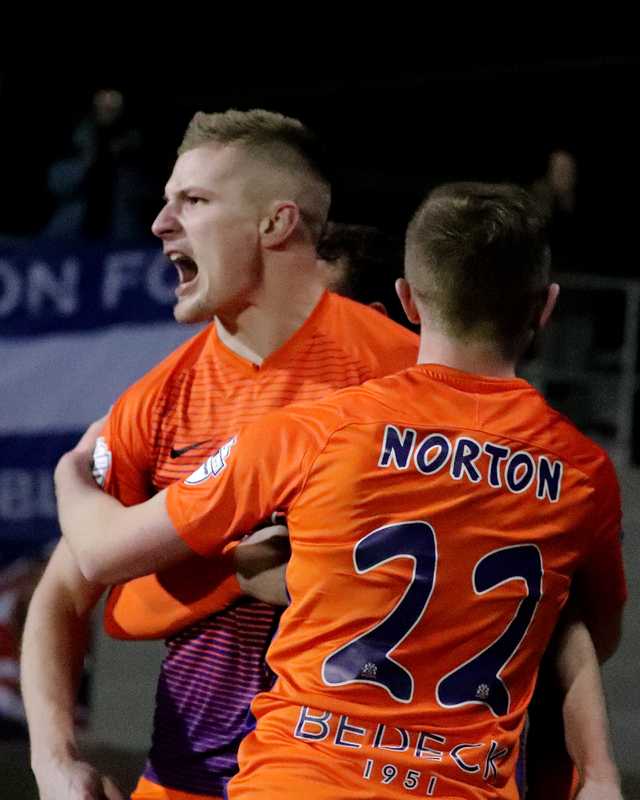 Then Smyth did well to pick out Clucas on the edge of the penalty area in the 87th minute, but the midfielder couldn’t hit the target with his side-footed effort. The Lurgan Blues had one final opportunity to equalise on 88 minutes when Daniels headed Marron’s cross down for substitute Conor McCloskey. 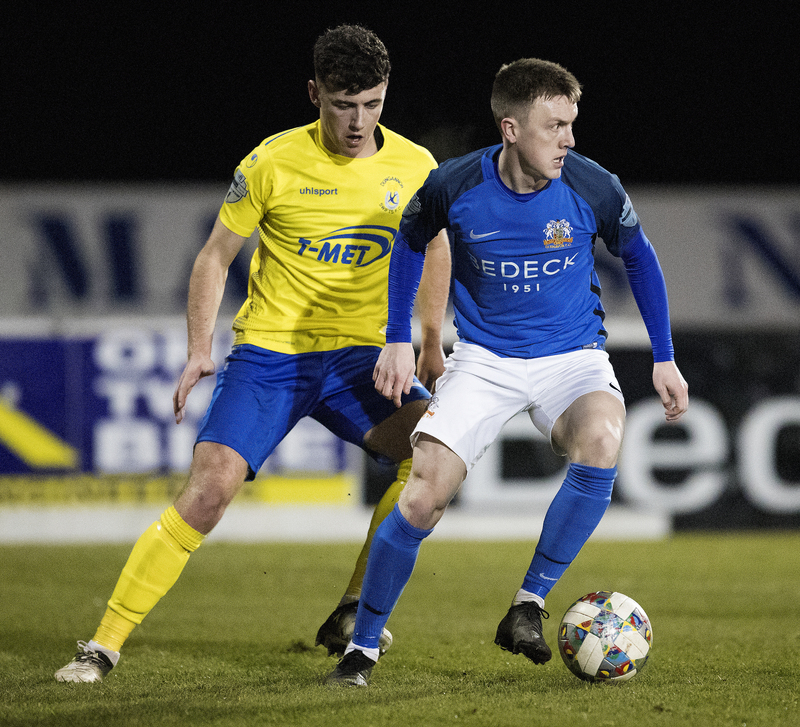 The midfielder connected well with his overhead-kick, but unfortunately for the Mourneview faithful the shot went straight into the arms of Moore, meaning Dungannon ran out 1 – 0 winners and booked their place in the quarter-finals. 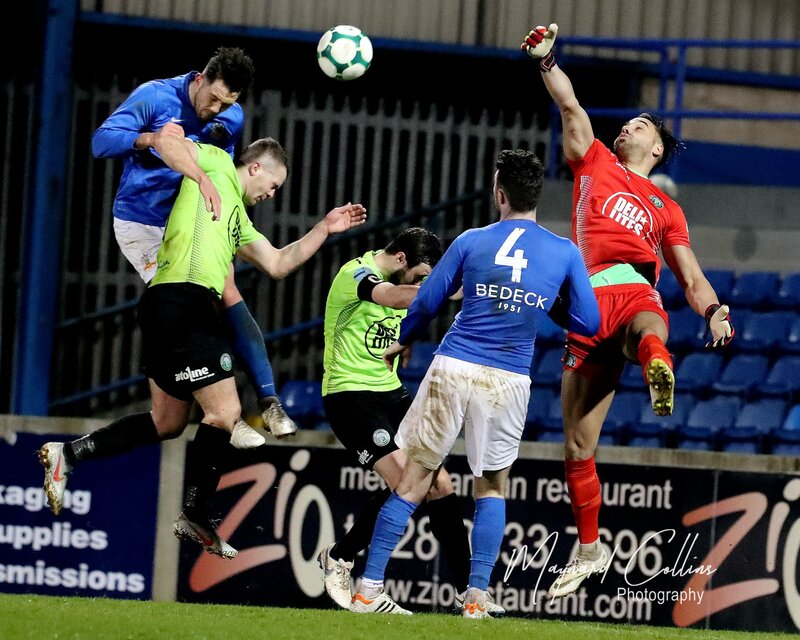 Glenavon’s next game is a Premiership fixture on Monday night (February 18th) when they travel to the Oval to take on Glentoran in front of the Sky Sports cameras (kick-off 7.45pm).